U.S. Special Representative for North Korea Stephen Biegun is still in Pyongyang in marathon talks with North Korean officials ahead of the second U.S.-North summit. The fact that the talks lasted for more than two days suggests the negotiations are intense. They are likely to cover a wide range of subjects but focus on concrete denuclearization steps the North will take and the U.S. response, as well as protocol and security at the summit scheduled for Feb. 27-28 in Vietnam. The U.S. insists on concrete denuclearization steps, such as inspections into the North's Yongbyon nuclear facility and shutting it down. But North Korea is demanding the establishment of a liaison office, a declaration ending the Korean War and easing of U.S. sanctions. More talks are therefore expected before the summit. Biegun is expected to return to Seoul later Thursday and meet with top South Korean and Japanese nuclear negotiators in Seoul on Friday and Saturday. It is unclear if the two sides have decided whether Da Nang or Hanoi will be the venue, but Japanese media reported Thursday that the U.S. government reserved hundreds of hotel rooms in Da Nang for Feb. 27 to 28. Japan's Fuji TV quoted Vietnamese government sources as saying that Trump administration officials arrived in Da Nang on Wednesday afternoon. 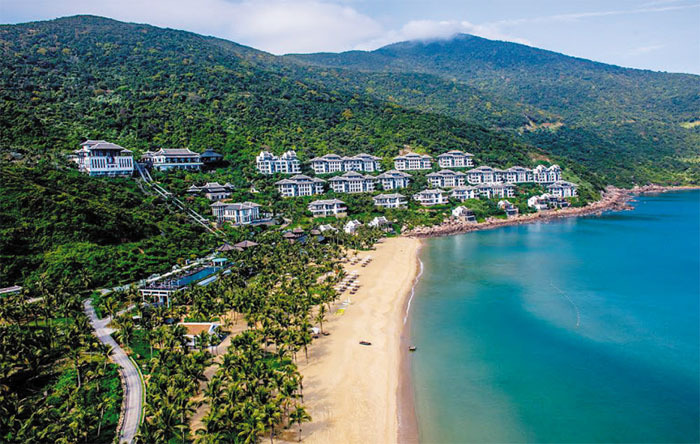 Government sources believe the Intercontinental Da Nang Sun Peninsula Resort is the most likely venue since it is surrounded by ocean and access can be controlled through the single entryway. The hotel is not taking online reservations at the moment for the period when the summit is set to take place.